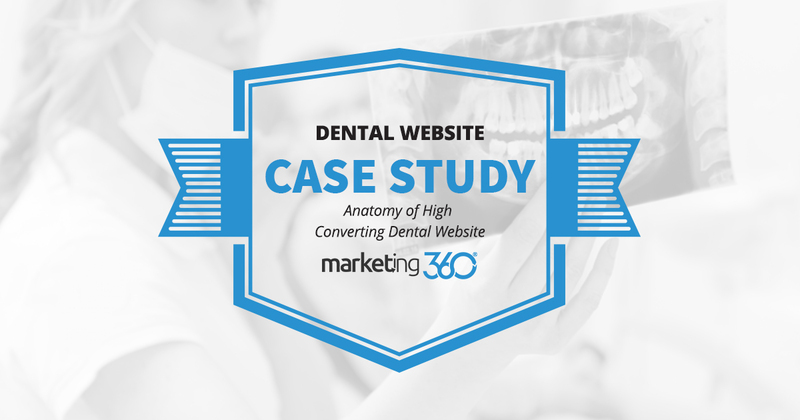 Marketing 360® created a website for this dental practice that hits on all the conversion optimization cylinders. Here’s the breakdown. Just about every dental website has a stock photo of people with healthy-looking teeth. Bright smiles are kind of an obvious choice for these sites. Beyond that, creating a website that develops trust, communicates value, and makes you look like the best dental care option in the area is a bit more tricky. A dental practice that came to Marketing 360® needed a website that went beyond smiling stock photos. We delivered. The first thing we did with this dental practice is to ask a question. What do your patients appreciate most about your practice? We did a few interviews with staff and took a careful look at their online reviews. We saw one part of their work that kept getting repeated. What people like about this practice is the gentle, caring approach they have to dentistry. Both the medical and office staff is exceptionally good at making people feel comfortable and at ease. Not always an easy feat when dealing with nervous dental patients. So, we took this insight and developed it into the value proposition that appears on the homepage. This “gentle” message addresses a big concern for many prospective patients. With clear calls to action (and the mandatory smiles! ), this makes for an effective value proposition. Do you want to convince new patients to give your practice a try? Then let someone else tell them how great you are. You can’t beat website testimonials and reviews in today’s marketing world. Consumers have always favored referrals and word of mouth, but today they often get these online. They also take advantage of the Top Rated Local® badge that links to all their online reviews and shows their overall rating score. The combination of third-party reviews and onsite testimonials makes for some of the most persuasive content on this website. Consumer expectations have shifted. People used to see reviews as additional content that helped with their decision. Today, they expect an established practice to have testimonials and a strong review profile. The more you highlight this content, the more trust you’ll earn – and conversions you’ll get. The last tactic we put into place for this practice has to do with a realization. 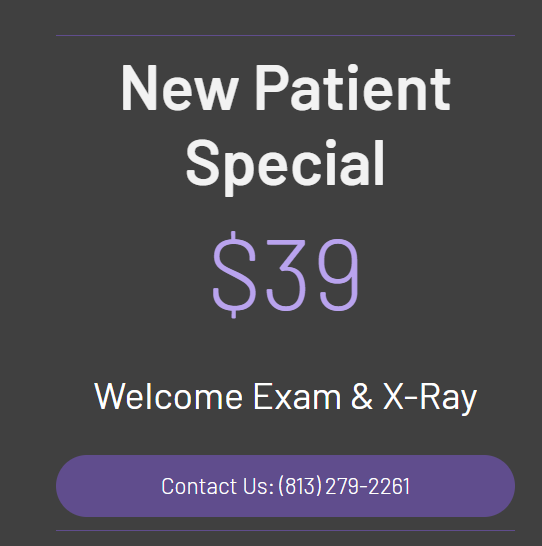 Simply put, you have to entice new patients with a great offer. Today’s web consumers have an abundance of choices. A search for dental practices in any urban area reveals just how much competition there is. Often, a website needs to make an overt effort to entice new patients. This may even be a loss leader, where no real profit is made on the first appointment. Along with their strong initial value proposition, this offer seals the deal for prospects looking for a new dentist. With their caring, relaxed enviroment, they use this initial offer to win many lifetime patients. All signs of a healthy marketing campaign anchored on a conversion-based UXI® website design. Are you struggling to convert on your dental website? Speak with one of our marketing consultants and we’ll hook you up with a free website mockup so you can see your brand on a website built to convert.